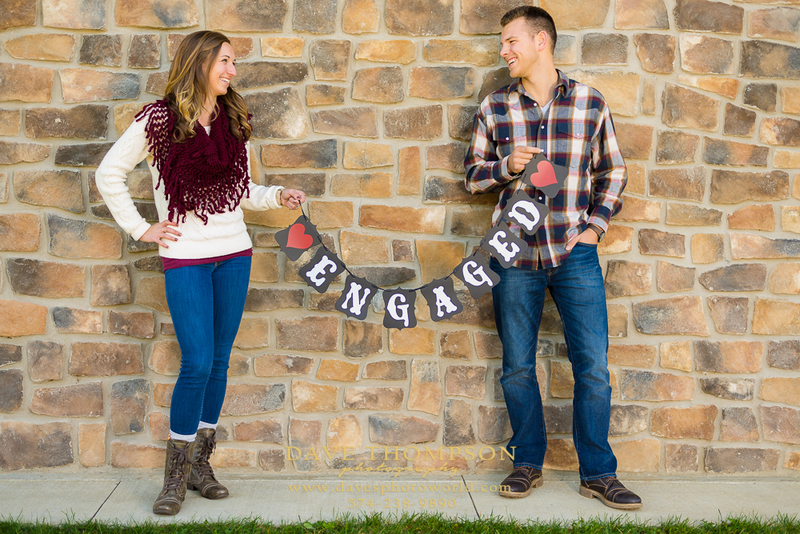 Fall is such an amazing time to photograph couples, and this engagement photo session was no different. My couple chose a local park that I had never shot at before, so I was curious to see what it had to offer, and I was very surprised just how beautiful it was! Cobus Creek is an Elkhart County Park with an amazing array of scenery and gardens, including "sensory" gardens for each of the senses - there was one for smell that included an variety of good smelling plants - another was the sound garden, with small waterfalls and other cool sounding features - and then gardens that covered all the other senses, just a really cool concept overall! We timed the session near the end of the day, so that we were able to shoot through the sunset, as this provides great lighting and beautiful photos. 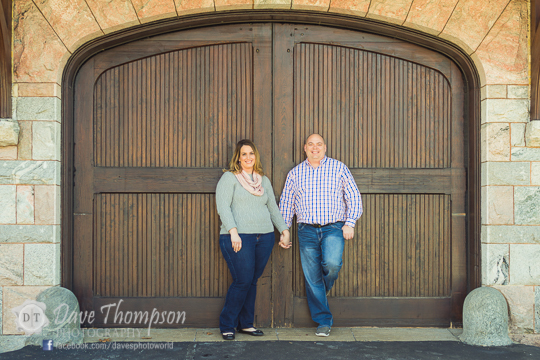 I couldn't have asked for an easier couple to photograph, they were so easy going and genuine, that it made my job so easy! My assistant and I really had fun with them and turned out to be one of the most enjoyable sessions I've had for a long time! I'm so looking forward to their wedding next year! 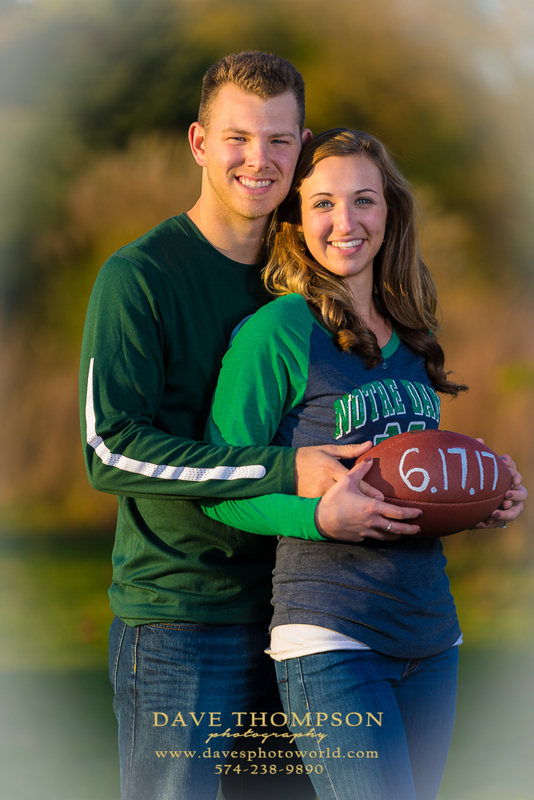 We had a super fun time spending the evening taking pictures with, soon to be married, Ryan Pickering & Alisa Stutsman. After warming up to the camera, these two were complete naturals in front of the camera. We spent an hour at the Oliver Mansion and then another hour at the East Race, both in downtown South Bend. This mansion is really amazing because of the intricate architecture and detail. The Oliver Mansion has been a landmark of downtown South Bend for a long time and it makes a super setting for photography. Ryan and Alisa are both in the architecture industry, so it fit them well. 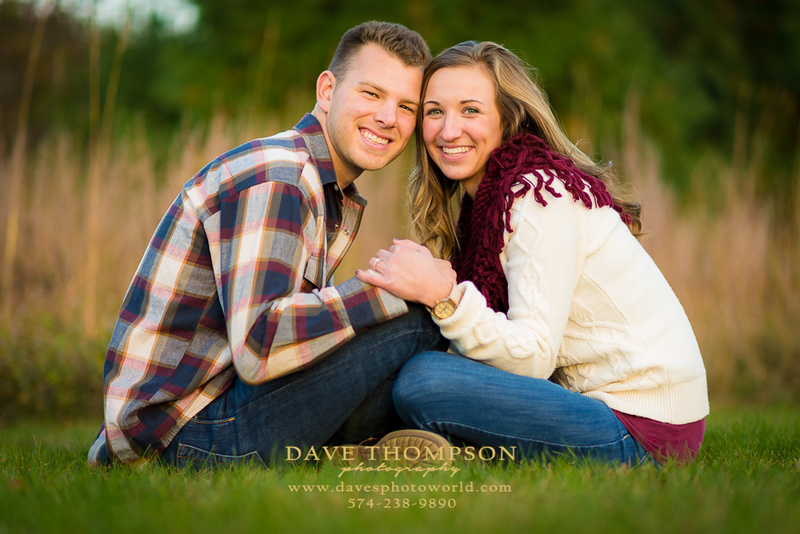 You can tell from the pictures, these two were genuinely happy to be in each others' company! 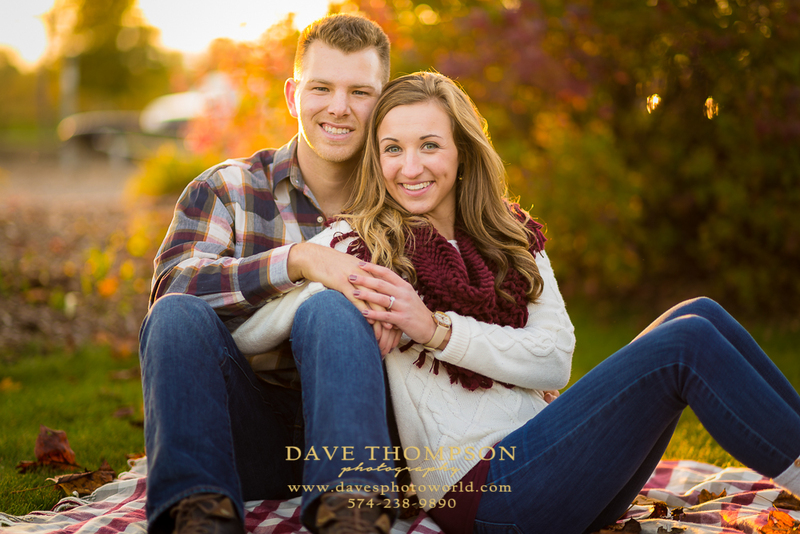 It's an honor to have been picked to be their photographer, and we can't wait to be able to photograph their wedding this coming up October. Cheers to Ryan & Alisa!